Edited by Shepbur, 28 November 2014 - 10:26 PM. Edited by MagusGerhardt, 28 November 2014 - 10:20 PM. Edited by Shepbur, 29 November 2014 - 10:26 AM. Edited by MagusGerhardt, 28 November 2014 - 10:21 PM. 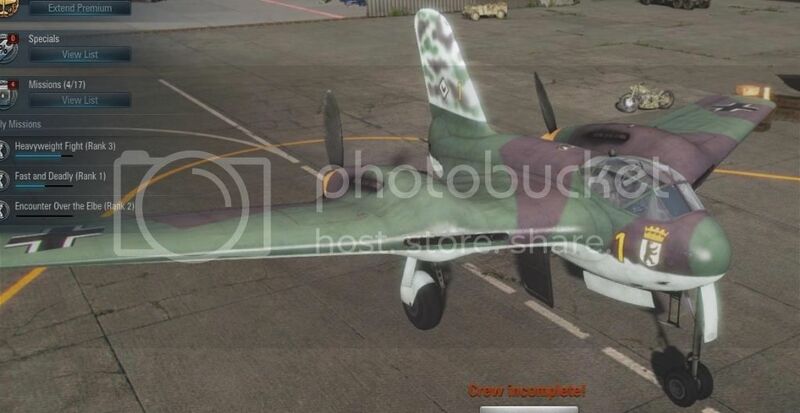 Wish WG would inform us of any new aircraft with parade camo. I'd give you guys a +1 but it seems that reputation has been removed, probably for the best. Many thanks for keeping this gallery going! They generally do inform you of new parade camo if it's for an existing aircraft... just not for brand new aircraft which are being introduced. 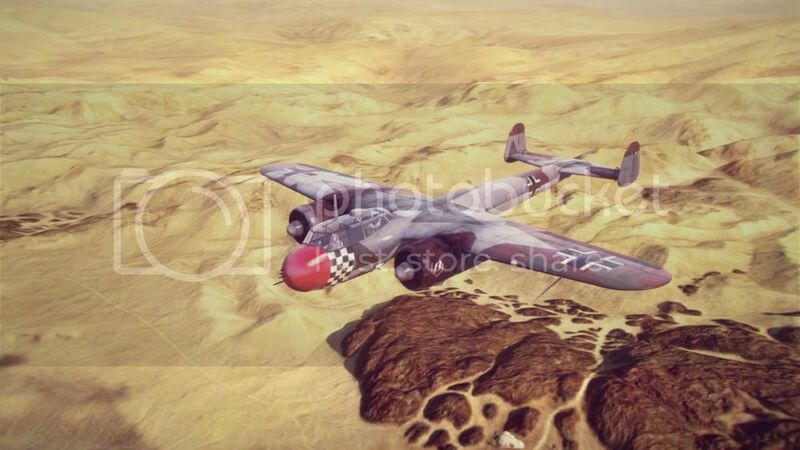 Here's a shot of the Dornier Do.17Z-7 Parade Camouflage on location over El Halluf. The desert backdrop and bright lighting lends itself a bit more to showing what the pattern looks like and what colors were used. Yep. That's the Normandie-Nieman spinner. On an aircraft they never flew. 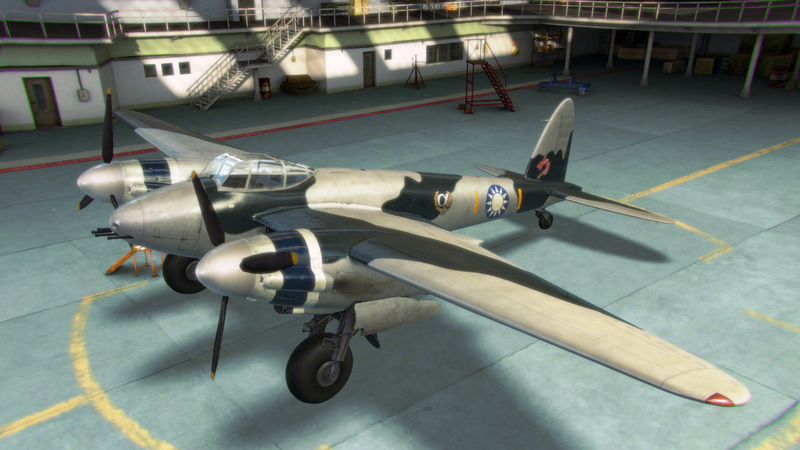 Its okay though, in the game the only other plane its available on is the Yak-9 (which they used for training) and not the Yak-1 or Yak-3 (which they used for combat). Edited by HZero, 06 January 2015 - 05:21 PM. Dreaming of better days. When this game had full matches, fiery dogfights, and hope for the future. 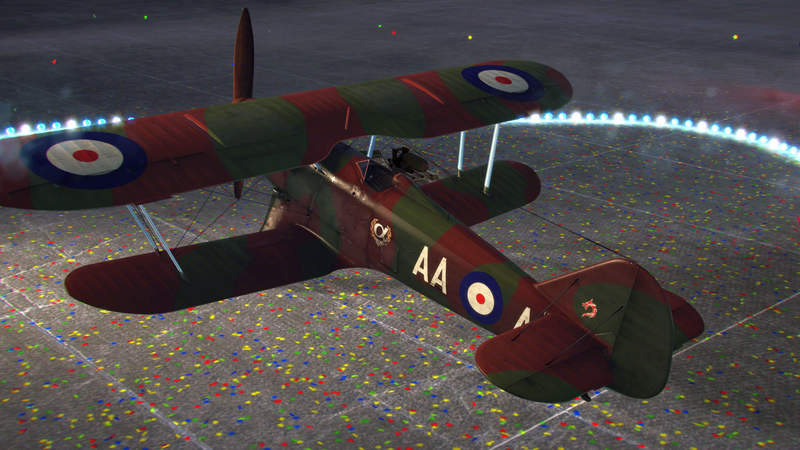 Adding the Christmas 2014 / New Year's event paint schemes here as well as they were only available for a limited time and due to the low population on the NA server may end up being more rare than the Alpha/Beta Test reward paint schemes. Are we still missing any, outside of the P-51K? Stand by, as soon as I'm finished with my tour of duty on the CT I'll post up some glamour shots of the new German attackers in their parade paint. Not even this parade camo can hide all that ugly. 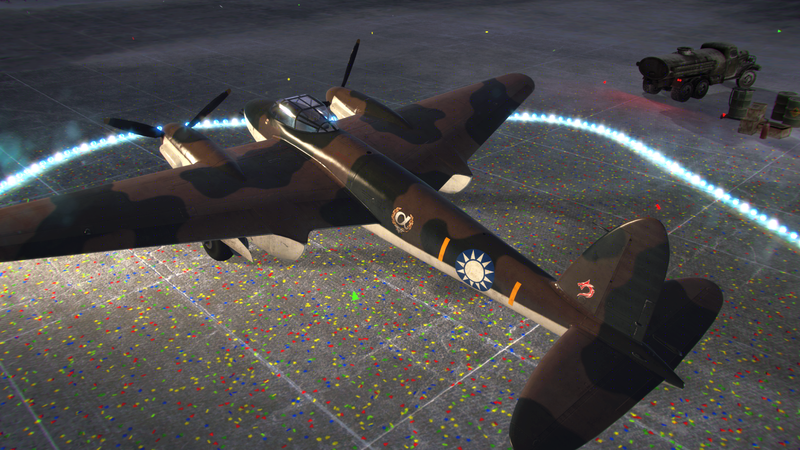 No parade camo for the Hs.129B, but it does come with this absolutely useless camo that you can buy! I don't think anyone will fly this bird anyway. It's useless. 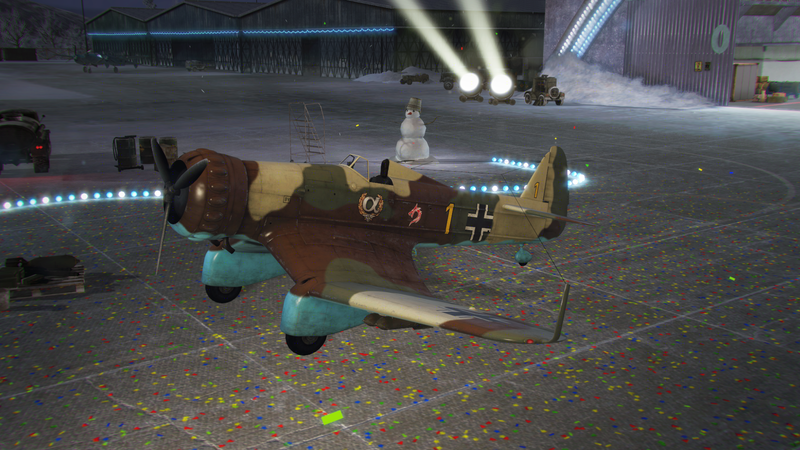 Reminiscent of the Do.17Z's, the Ju.88 looks very sharp in this parade camo! 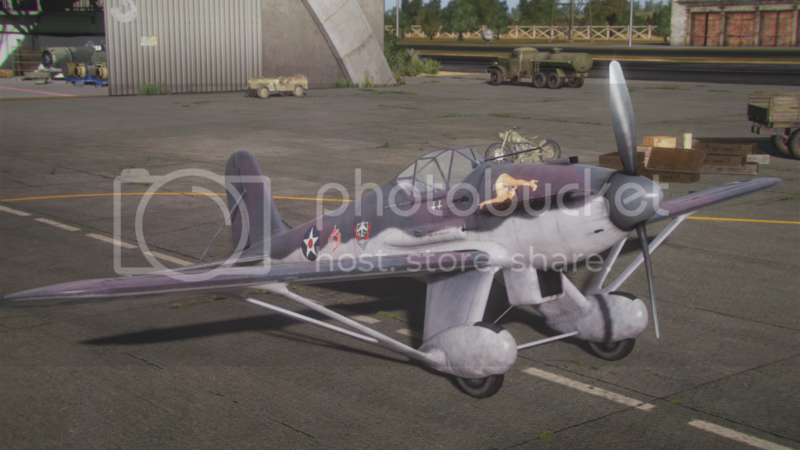 Unfortunately WG has provided no parade camo for any of the other planes in this line, despite the models for the tier IX and X being around since Alpha test and early Closed Beta. They did, however, provide us with a completely useless camo skin for each that can be purchased with gold. To discourage readers from spending any money on them and encouraging this continued behavior from the Devs I've provided pictures of each here, purchased with free gold on the CT server. It's a pity, too. They all look pretty good, and the forest type ones look better than the real forest camo you can get. Edited by holakc, 16 February 2015 - 12:31 PM. Edited by holakc, 16 February 2015 - 12:30 PM. Edited by holakc, 16 February 2015 - 12:32 PM.